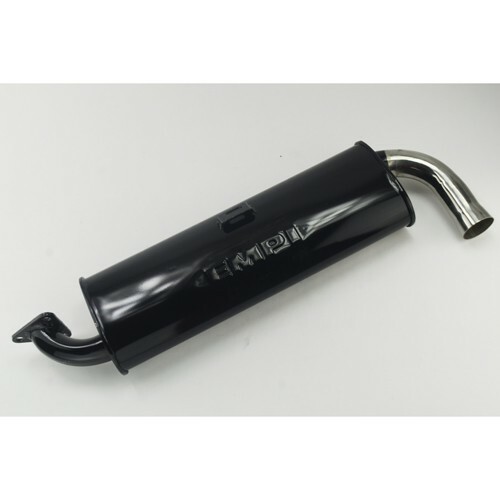 Replacement muffler for the 00-3714-0 exhaust kit. 3 bolt flange style. Black coating is for protection only. It will burn off when run.